This is a stretch, I know. But I’m going to ask you to watch a trailer for a brand-new XBox video game. I keep watching it, because it’s just so beautiful. The hero is a piece of yarn. The thing is, it’s likely to make you laugh or cry or both, and it may give you hope for humanity that a bunch of people in northern Sweden would take the time to create a video game that has, at its core, one subject: love. The extraordinary beauty of Unravel gives me hope that maybe someday, those people at Electronic Arts will make another game like this, and another one. Ten seconds in, I’m rooting around in the craft drawer of yore for pipe cleaners. If they’re having a YarnyAlong, I am IN. I went with a nice Rowan Handknit Cotton for Yarny’s body. The eyes are Euroflax. Of course. You want a crisp eyeball. Or eye area. Or whatever it is that Yarny has up there. 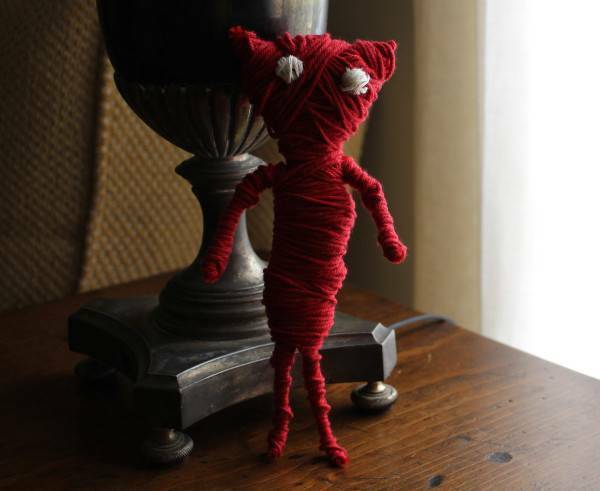 Yarny looks a little like a voodoo doll. But a voodoo doll of love—an action figure whose superpower is to keep from unraveling. Thanks to Susan Mitz for sharing Unravel with me. We have word that Megan is hard at work, knitting her way to new bedcovers with the Fancy Tiger Crafts/Elemental Affects Heirloom Romney yarn that she recently won. 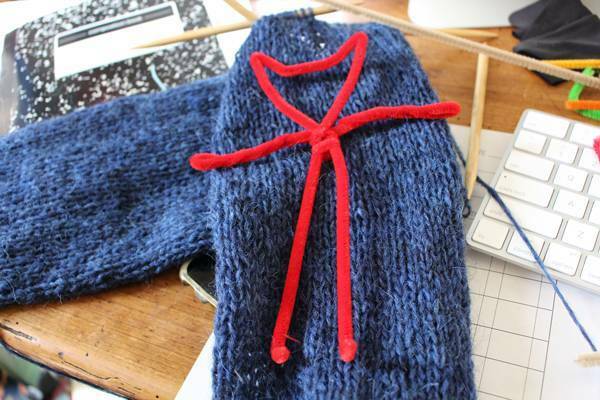 While I think Yarny looks totally weird I am oddly compelled to make one! Cath, me too! I need one sitting on my windowsill while I do dishes. What an incredible story and game, Ann! A video game that doesn’t involve guns and violence, but that you win by sharing love. Thanks for passing this along. You win! Thanks for making my Sunday! Funnily enough I was watching a video of this last night as the game was reviewed in the Saturday paper. The music was lovely, the scenery was lovely but I am utterly pants at gaming. You win my internets for the day! I can’t believe you made a Yarny! Now I want one too. As soon as I finish the 3NBO on my #BANGSTOPOVER, and block it. Then steek it. Then finish it. Then post it. “A voodoo doll of love”. Beautifully stated, and so much of what the world needs now. So now I need an X-Box to play Unravel, or better yet, I’ll buy the game and play at my stepson’s house! But first, so need to make a Yarny! That dude is like the son Arne & Carlos never had. I’m putting pipe cleaners on my grocery list. Must make me a Yarny! LOVE this! Thank you for sharing. Also, my college campus was located RIGHT NEXT to a Girl Scout office. Genius planning! We were always inundated with cookies. The only reason the Freshman Five didn’t become Fifty was the campus was built on a hill and had hundreds and hundreds of stairs. Still, I have fond memories of Thin Mints and frozen drinks made with cookies and studying with cookies…. 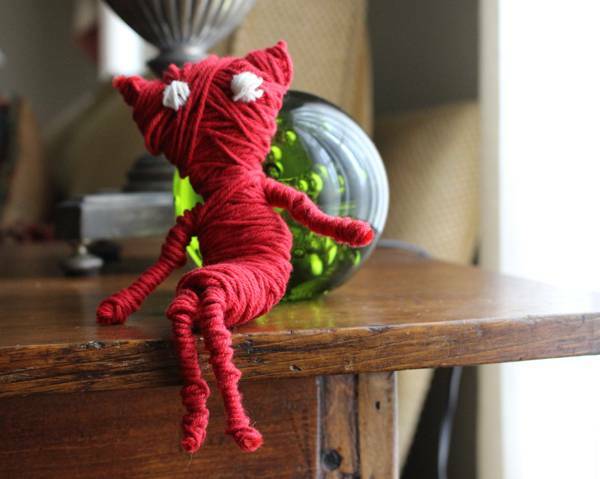 Yarny proves that the implications of yarn are universal and yarn represents love. It has been a continuous thread in my life from 6 through 60’s and counting. Girl Scout Cookie Sales. In the 60’s we HAD to wear our green uniform and HAD to wait until Friday afternoon before we went door to door (also before we knew there were weirdoes lurking in “safe” neighborhoods). Sadly I was not a motivated entrepreneur and never got more than a darn pin. Me (day of game release): plz buy new game called Unravel today and I’ll play it when I get there. Son: ok did it. Can we play or is it a surprise (for granddaughter)? Son(30mins later): this game will make you cry. I was a Bluebird that then grew up into a Campfire Girl. At that time we did not sell cookies, we sold chocolate covered mints (I lived in San Francisco then). I tnink I remember that Kay’s Campfire experience was Russell Stover Chocolates (she lived in a different state than I, and is younger, too). All of this remembering lead me to wonder what is the official chocolate of Mason Dixon Knitting, and is there a mint division. Yarny looks very lovable. I had a hard time with the video, though, because Yarny looks somehow familiar and I cannot figure out why. Very frustrating! Wishing everyone a good Sunday. He kind of reminds me of the Underwood Sandwich Spread mascot. But I want one anyway so I’m off to the crap — er, craft room to see if I’m properly equipped to make my own. Amazing! Thanks for the info, Toni. Oh, I hope they make Unravel for other game platforms! Yarnie isn’t the first yarn based video game character – http://littlebigplanet.playstation.com I’m pretty sure that Little Big Planet is a nonviolent game as well. 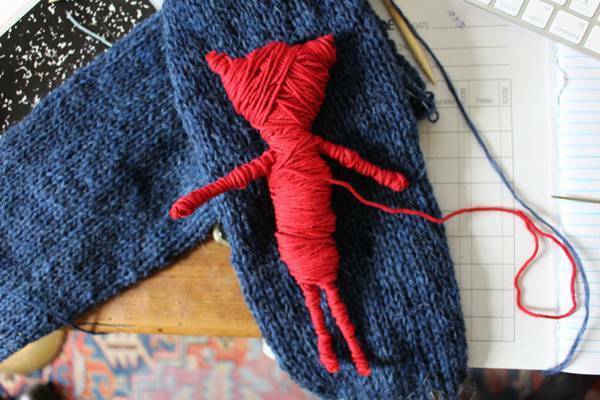 I started making the main character a few years back (cuz, yes, the pattern is on Ravelry) but it remains a WIP…. I have LIVED Yarny, and I’m sure a lot of us have. 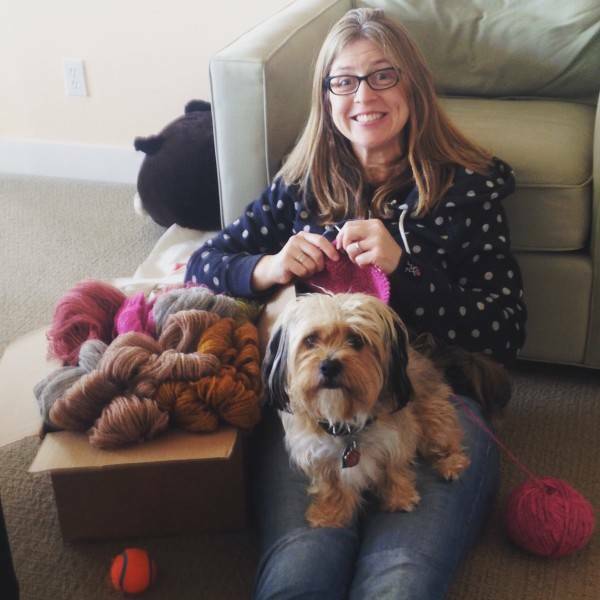 I grew up with a mother and a grandmother who were knitters. My father and uncle wore onlyt hand-knit argyle socks, and we kids got a new knit cap with pom-poms every Christmas. And sweaters, etc. etc. I started knitting in high school and never stopped. I taught my daughter to knit, and now she is knitting for her children. Yarny is the thread of love that runs through us and ties us together, generation to generation, heart to heart. it had loosened itself and gone. These made my Sunday too. And I am thinking I need a Yarny. Using electrical wire, I think he could become full-size!! Yarney would go well with my Red Velvet Cake! A human size Yarnie would be awesome for a yarn shop! Also a fabulous use for red heart pound of love. Thanks to you, I just fell down the rabbit hole of playing Unravel. My kids were thrilled and surprised that I actually wanted to play a video game. Fortunately they were much better at it than I and could help me in tricky parts. Unfortunately, I just spent 2 hours playing that instead of working on my Stopover! Love this post, love Yarny, love Martin. How fun of a dad must he be! This post has everything! A young man who says “mindful” as he makes a toy with tattooed fingers, a reminder to buy Girl Scout Cookies, and blanket knitting and a cute dog! Love! I am in LOVE with Yarny! We bought the kid an X-box for Christmas. I think he needs to take a break and let momma play. You know, his room is a mess…guess I’ll have to take that X-box away!! Scouting through Hubby’s junk…oops, tool bench for wire now. Love…we need so much more of it and I need to make a Yarny or two. This warmed my heart! Thanks for sharing. 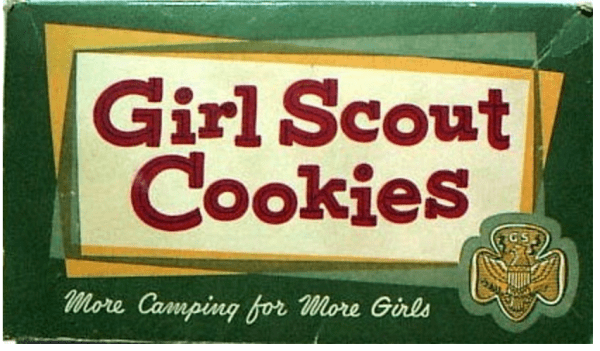 Many years ago when I worked with a great group of women, we took a serious fall down the Girl Scout Cookie hole. To dig ourselves back out, we sat at a big table with all the boxes and figured out which ones were going to cause the least amount of damage if you ate the whole damn box. There was a lot of math involved but at the end of the day, the clear winner was the thin mint. And it’s hard to argue with someone who has just eaten a whole box of thin mints when they tell you that it’s fine, they didn’t just do something terrible, they’ve done the math. My father would take order forms from my sister and I to work, a big cube filled with computer geeks, and come back with 400-450 orders. We didn’t have to do anything but hand in the order forms. Believe it or not, we weren’t the top sellers! Not about Yarny. I may have to buy the new XBox system so I can play this game. My kids would sit back in total amazement. I love adventure-ish puzzle games in general, so this would be up my alley even if it weren’t for the amazing theme, art, and yarniness. Thanks so much for putting it on my radar! Just wanted to point out that Unravel is also available for PC and Playstation 4, as well as XBox. As a knitter, I can’t decide which hint I love more: “The yarn trail is great for getting out of trouble. Think of it as your safety line. ” or “Some things look harder than they actually are. There’s usually a safe(ish) way to do things, if you can figure it out.” I feel like those are mottoes for a whole lot of knitting and life and knitting life. I saw this, and 10 minutes later my darling husband had bought it for me. It’s so unlike everything else – I’m very happy you mentioned it! Just had my first girlscout cookies in years. Gluten free toffee tactic. Yummy and buttery. Stitches West just ended. I went all three days, and I wore my Stopover one full day. I did not see one other Stopover! People were generally complementary, but a few did mention that we were in California and that it was starting to get warm….. My sister and I did find a Lopi booth, however, so she is all set to start her sweater. I have coverted her to the fold, at least. Well, thanks to you all, I’ve just spent half an hour watching some guy named jacksepticeye on youtube playing Yarny! I don’t know what is more entertaining – Yarny or watching this green-haired, cool dude playing (lots of cursing and F-bombs), but he loves the game! Yarny is the first game I’ve ever been tempted by, but guess I’m saved since I have no X-Box. And thanks to you, I’m watching jacksepticeye play the game now. He’s funny (so far). The game is available for PCs as well. Using pipe cleaners makes so much more sense! Not that I have wire or pipe cleaner at home. I thought it funny that he used a paper clip instead of a needle. Boys! is there just one Yarny? Does your adorable one have a name? My daughter made a Yarny (and about eight more like it) with pipe cleaners, too. It makes the doll very posable and is a lot easier to work with than the wire, I think. She has had so much fun making these little dolls. Thank you for putting this on our radar! I saw a small write up of this a while ago and then completely forgot about Yarny. Thank you for reminding me. I’ll have to hop on Live and check the little guy out. I’m playing this game right now and it is so beautiful and also so, so sad. Down under here in New Zealand, it’s Girl Guide Biscuit month. Not nearly as imteresting as GS cookies (two flavours – plain and choc covered) but still addictive in their own unique way. My husband always makes sure we lay in a carton or two….